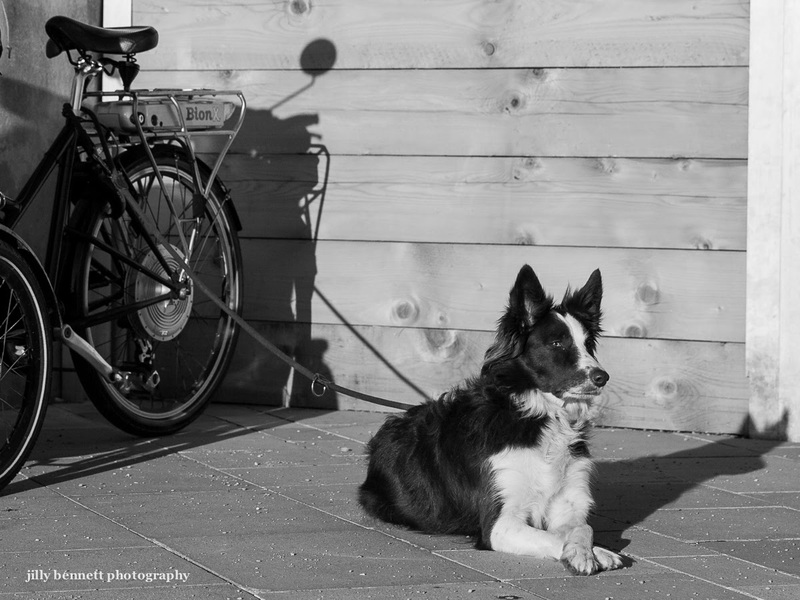 This beautiful Border Collie is relaxed, guarding his owners's bike, front legs gently crossed whilst he waits for his owner. He never takes his eyes off her as she takes her morning swim in the sea at Larvotto Beach. Flannel is 3 years old. I love the crossed paws!!! What a lovely photo! It says alot about this faithful dog. Love the black and white.